The Syrian regime is faltering. The finding is by a leading political analyst who is in Damascus’ good books. ==Violence will take at least a year, if not more, before subsiding. ==There are worrying signs that military personnel are defecting to the opposition in greater numbers together with their tanks and heavy weapons. ==A third force of organized and well-armed criminals, unconnected to the regime or the opposition, has joined the fray to sow panic in Damascus and its suburbs. ­­==The scions of two retired military bulwarks of the regime deciding to cross the aisle and help the opposition have overburdened President Bashar al-Assad. Both the regime and the opposition have “totally lost the ability to initiate or control the events and chaos in Syria.” As happened to Lebanon during its civil war years, “Syria is no longer in the Syrians’ hands.” Both the regime and the opposition are no more able to backpedal or press on with their agendas except at a prohibitive price. This impression is reinforced by gloomy readings of the situation that Syria’s allies in Lebanon are getting from Damascus. Without suggesting the Syrian National Council is about to take over power or that the Syria army is collapsing, Damascus’ allies are not convinced regime forces remain in control of the situation on the ground. Lebanese allies returning from visits to Damascus quote highly placed security officials responsible for protecting the regime as saying “it would take a year or more to stifle the armed opposition.” The officials have stopped talking of the regime coming out on top within weeks or months. Lebanon’s pro- and anti-Assad camps now share the view that Syria has effectively entered the deadly “game of nations.” Hence their search for common grounds to keep Lebanon out of the Syrian quagmire. Lastly, there are credible reports coming from various sources in and out of Syria saying scions of two regime “Old Guard” figures are now helping the opposition. (1) Manaf and Firas Tlass, sons of Gen. Mustafa Tlass, who is now based in Paris. 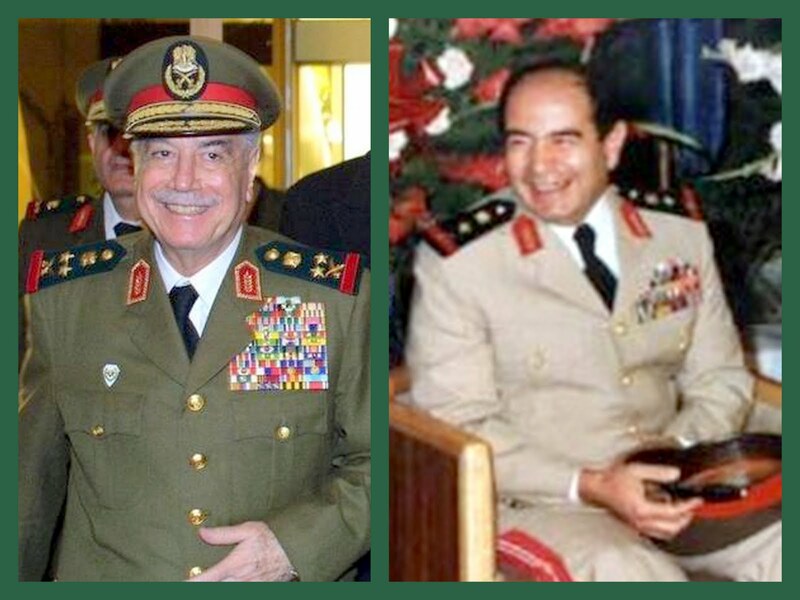 Gen. Mustafa Tlass served as Syria’s defense minister for 32 years between 1972 and 2004. (2) A son (unnamed) of Gen. Hikmat Shihabi, the former chief of staff (1974-1998). Shihabi was retired in 1998 in a housecleaning purge prior to Hafez al-Assad's death. As Hafez lay dying, Syrian papers published leaks saying Shihabi would be indicted on corruption charges. Shihabi, who was in Lebanon at the time, boarded a plane and fled to exile in California. However, a month later, Shihabi returned and was officially "rehabilitated" by Bashar. But he left Damascus for self-exile abroad about two months ago.